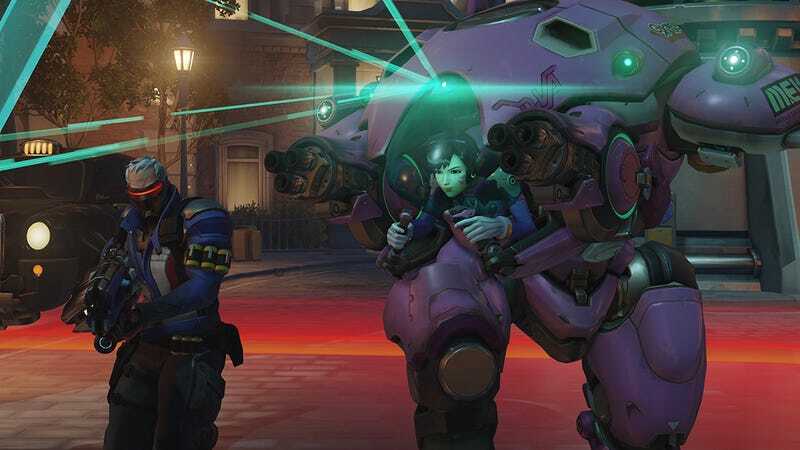 For pretty much the entirety of Overwatch’s two-year existence, players have been clamoring for a role queue or some other way to simplify character selection. Now Blizzard’s taking a stab at doing something about it. Game director Jeff Kaplan, Our Hallowed Gamefather, announced a series of new social features that’ll be released as part of Overwatch’s next big patch. Foremost among them is a “looking for group” tool that’ll allow players to set the exact composition of their group. If the group leader wants two tanks, two DPS, and two healers, that’s what they’ll get. They can even disable role switching. Group leaders can also, say, require everybody to use voice chat. Kaplan stressed, however, that LFG won’t be a matchmaking feature. Rather, your group will go on a list, and other people will be able to join, or vice versa. Once your group is assembled, you’ll then move on to matchmaking. As Kaplan hinted in an interview with Kotaku in April, Overwatch is also getting the positive version of a reporting system: endorsements. Players will be able to endorse each other at the end of matches in three different categories: sportsmanship, good teammate, and shotcaller. Players who maintain a high endorsement level will be periodically rewarded, and players who endorse others will receive “minor” rewards. Overwatch’s next update will also include player profile privacy options and will default players’ profiles to private. “Our theme is ‘give players control over their gameplay experience,’” Kaplan said. In addition, Symmetra’s long-awaited overhaul is close at cool, glowy holo-hand, as is a major update to generally mediocre map Horizon Lunar Colony. Kaplan didn’t give an exact timetable for when the update will go live, but it’s on the PC PTR right now.